Hoppy Easter! Just a reminder that time’s running out! Order the current issue of Animal Wellness Magazine while you still can! The magazine has an ambassador program and when they feature a cover dog, they donate 25% of the proceeds of that month’s magazine sales to the charity of the feature dog’s (and their owners) choosing. Mishka the Talking Husky has chosen Tails of the Tundra, which we sincerely appreciate! 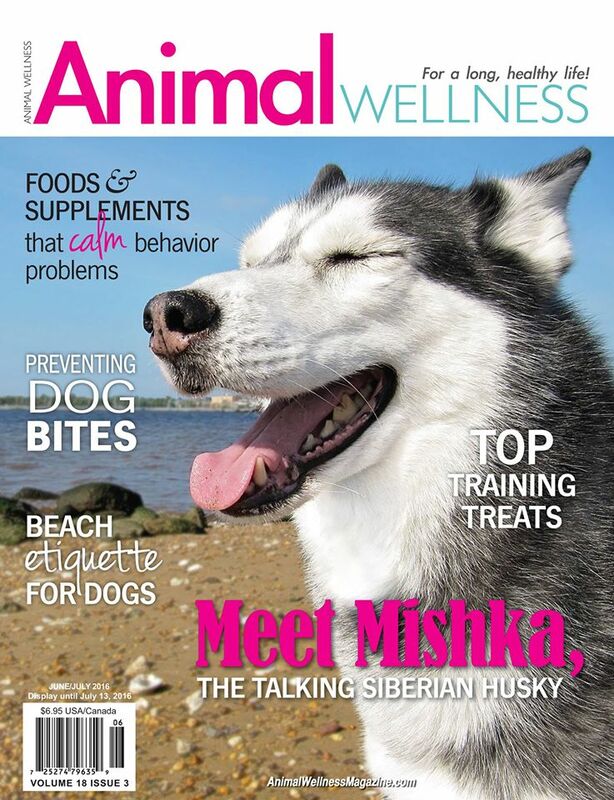 So, if you want to read more about Mishka and support rescue in the process, please use the code AWA258 when purchasing at www.animalwellnessmagazine.com. You have until April 6th! Shelter Me: Tails of the Tundra Siberian Husky Rescue, Inc. Tails of the Tundra Siberian Husky Rescue was featured as a 6ABC: Shelter Me winner in April of 2013. Husky rescue group holds fundraising dog hike and festival. Join hosts Robert Forto and Dorothy Wills-Raftery in welcoming Jennifer Maksin of Tails of the Tundra Siberian Husky Rescue to The Sibe Vibe Radio show.